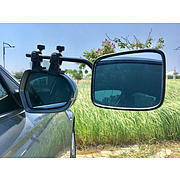 - The flat mirror enables the driver to see exactly what is behind them in the correct proportion. - The convex mirror makes the image smaller but enables the driver to see more. 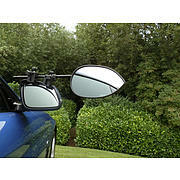 - Milenco mirrors do not wobble or vibrate. They provide the most stable image of any mirror. 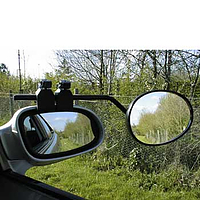 - To withstand the most rigorous driving conditions, all Milenco mirrors have been tested at 155mph. 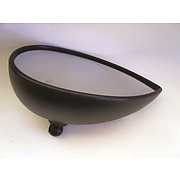 Milenco produces two different types of mirror: one with flat glass giving an angle of view of approximately 25 degrees and a convex version providing a much wider 45 degree angle of view. Both models are constructed to the same high standard. 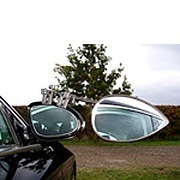 New for 2007.The Milenco Aero mirror, which has a unique clamping system which is engineered to fit all current 2007 cars, 4x4`s and vans. 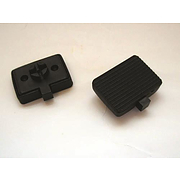 Mirror pads for screw clamps for Milenco Grand Aero mirrors.Attach to end of screw clamp. Price per pair. Milenco Aero Mirror head replacement Flat. Simply unscrew the screw in the head and remove from the arm, and replace. 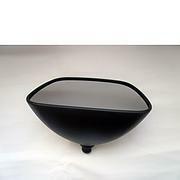 Milenco Aero Mirror head replacement Convex. Simply unscrew the screw in the head and remove from the arm, and replace. 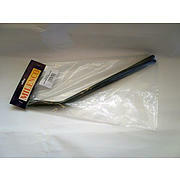 Pair of Milenco Aero Extra Wide Arms. 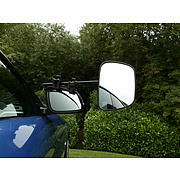 Will fit standard milenco miorrors and the Grand Aero mirrors. 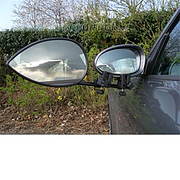 Milenco Aero 3 mirrors are the worlds best performing towing mirror.